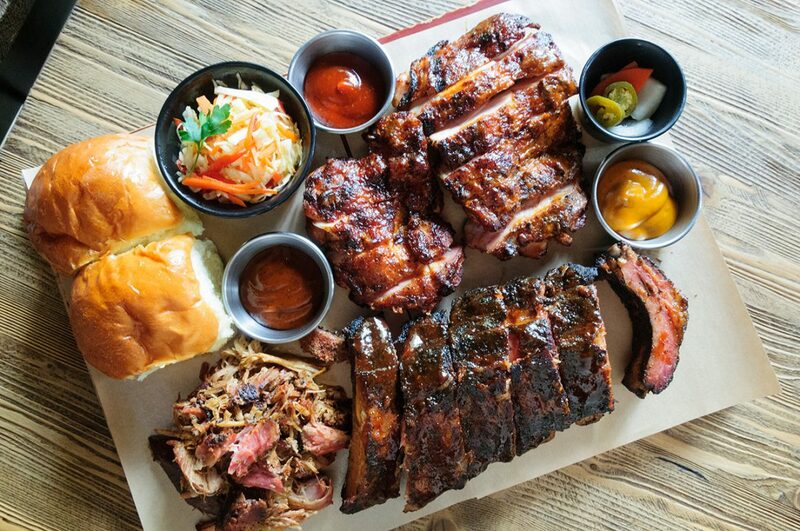 Southern BBQ has taken off in a major way. Here’s where to start. 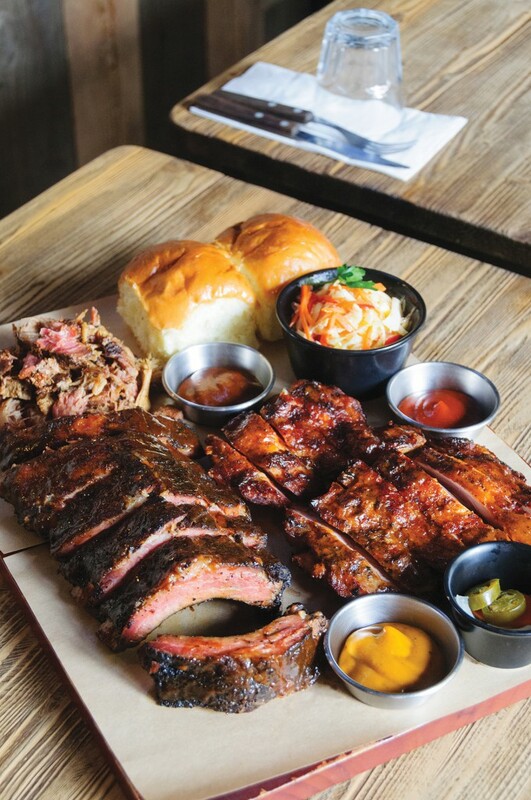 Southern BBQ is no longer scarce in Seoul. 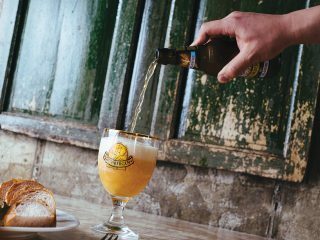 Regional diehards and neophytes alike can settle down to a variety of stunning, smoky meats and sides. Here, SEOUL rounds up three barbecue joints any true carnivore will appreciate. 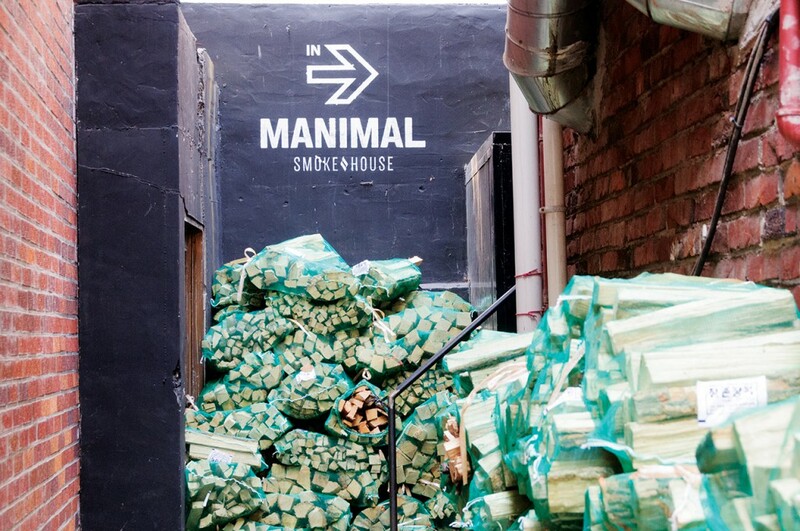 Manimal emanates two of the planet’s most enthralling smells: smoldering wood and expertly smoked meat. The sparse interior looks charred too with dark-stained cement walls and metal and wood seating. More beautiful browns and scorched blacks arrive with the reason for being here: the barbecue platter. 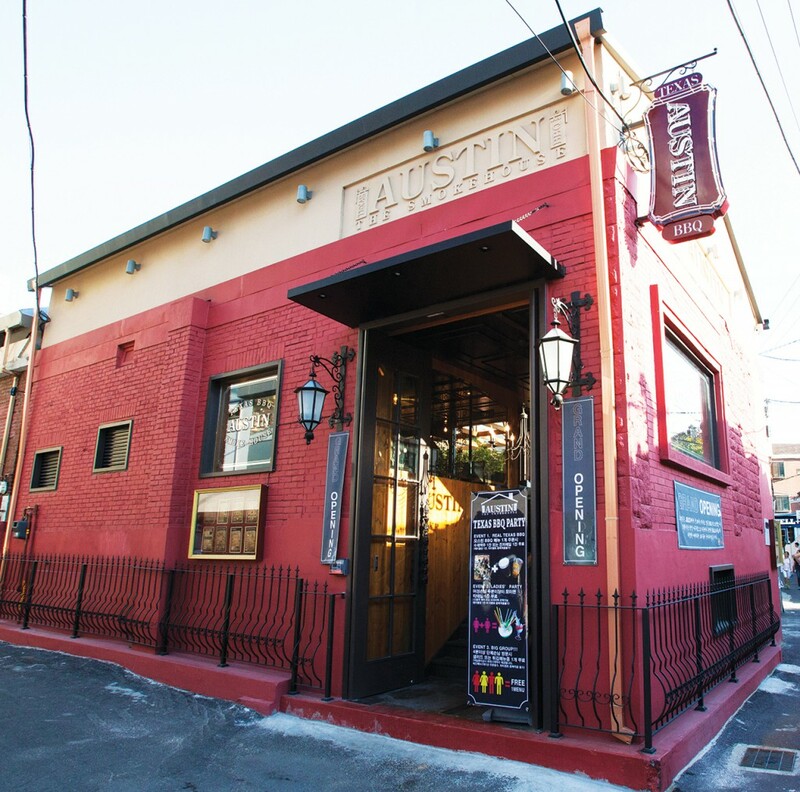 Choose from house-made andouille sausage, chicken, brisket (dinner-only) and pulled pork. A duo platter costs between KRW 35,000 and 38,000 depending on the meats selected. Outside of the platters, full and half racks of raspberry-glazed ribs and a winter greens salad provide alternatives. 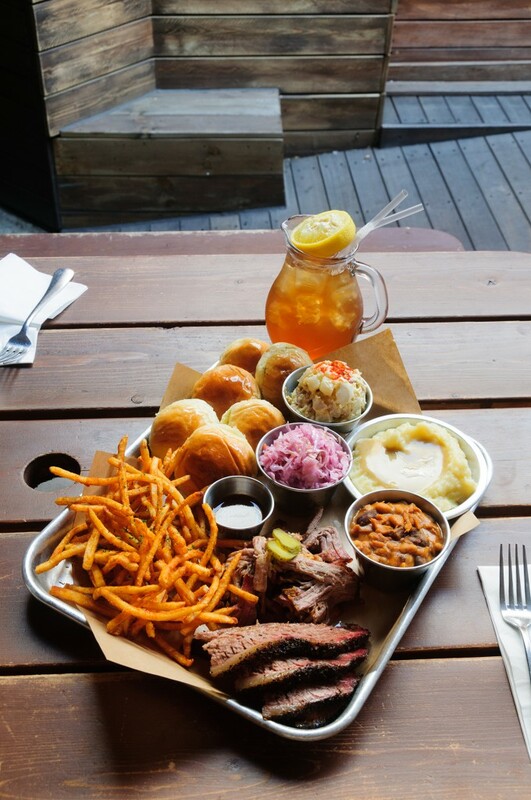 Saving room for dessert is hardly an option when it comes to American barbecue. Will the space in your guts anyway for the “Bananimal,” a riff on banana pudding with soft serve ice-cream, wafers, pudding sauce and fat banana slices. This seminal bbq joint gave Seoul’s expats from America’s deep South something to write home about when it opened its doors in 2014. That aside, the barbecue at Linus’ Bama Style BBQ is not just for the homesick. 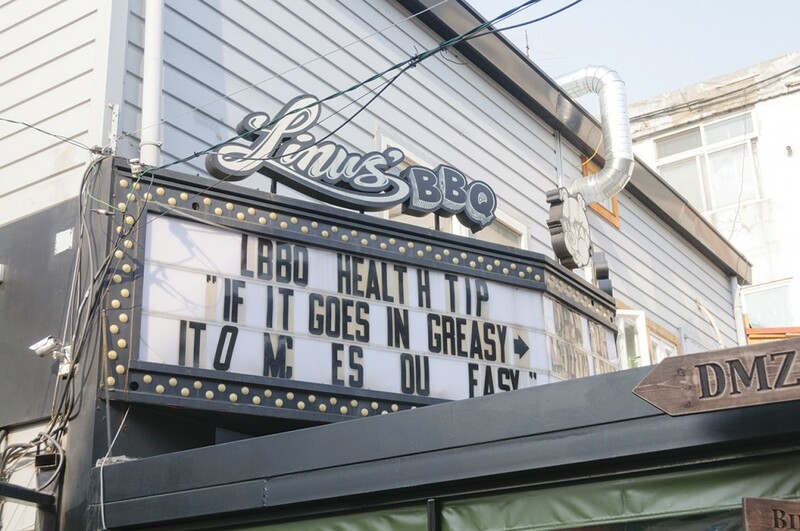 Linus’ Itaewon space is packed nearly every day of the week with eager diners from all walks of life communing over platters of buttery brisket and sumptuous pulled pork. As the name of the place indicates, the bbq is full-on Alabama style, smoked “low and slow” over hickory and apple woods. The process yields meat that falls apart with the touch of a fork and is packed with rich, toasty flavor. The bbq platters (KRW 31,000 for pork and brisket) come with buttery rolls and a choice of sides, as well as the Linus signature sauces, all of which hit the perfect balance of tangy, sweet and spicy. The sides at Linus continue to evolve, and there are currently a number of deep fried appetizers and sides on offer including mac and cheese balls and a short rack of ribs. The “Slaw in the Raw” adds a hit of sweetness to the DIY platter bbq rolls. The peppery pork and beans and mellow bacon-and-egg potato salad are a good way to round out an outstanding platter. Wash everything down with a sweet, non-alcoholic “Crack Tea,” or spring for one of the signature cocktails. 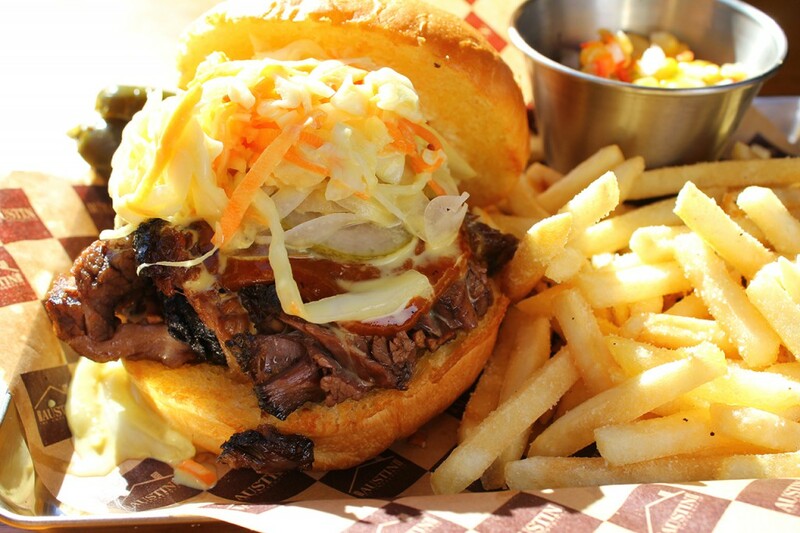 American BBQ authentics may slight Austin: the Smokehouse, but diehard carnivores craving pulled pork, brisket and ribs will not leave disappointed. There is a platter featuring kimchi and the coleslaw tastes of artificial sweetener, but the brisket is buttery and the spare ribs melt off the bone. It’s Texas-y but a little different, just like the city of Austin. Austin’s menu features a two-person platter for KRW 28,900 that comes with brisket, pork, spare ribs and a choice of two sides along with coleslaw and buttered rolls. Single-meat platters vary in size (indicated by grams of meat), and run about KRW 20,000-24,000 each. Two table-side sauces, dark and sweet, and a red chipotle complement the pork and the brisket, while the sweet and smoky ribs need no embellishment. A side of chili beans delivers a serious kick of pepper, while the mashed potatoes and gravy are bland enough to fight the former’s fire. Other sides including onion rings, macaroni and cheese, sweet potato fries and potato salad can be added onto any platter order for about KRW 3,000 a piece. Refresh with an entertaining array of cocktails such as Coronaritas or opt for a craft or domestic beer. The high ceilings and floor-to-ceiling windows don’t exactly scream Deep South, but the wood-paneled space is comfortable and inviting, permeated with the appetizing scent of smoke.